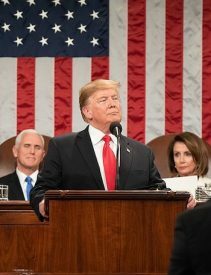 On the same day President Donald Trump offered unequivocal statements in defense of “born and unborn” human life in his State of the Union address, two bills were filed in the North Carolina House to strengthen our state’s pro-life laws. HB 22-Woman’s Right to Know Addition/Ashley’s Law, sponsored by Rep. Larry Pittman (R-Cabarrus), would require women considering an abortion to be notified—as part of the state’s informed consent law—that a drug-induced abortion using a combination of mifepristone and misoprostol (commonly known as RU-486) can be reversed through the administration of progesterone. The bill would also require the State Department of Health & Human Services to maintain information on its website regarding “how, where, and from whom women can obtain assistance in discontinuing a medical abortion.” In short, mifepristone—the first drug administered—starves the unborn child of progesterone, and then misoprostol—the second drug—causes contractions to expel the dead baby. The administration of high doses of progesterone after mifepristone has been taken has been shown to reverse the deadly effects of the drug on many unborn children with little to no negative effects. The second bill, HB 28-Prohibit Abortions After 13 Weeks, sponsored by Rep. Keith Kidwell (R-Beaufort) would amend North Carolina’s existing law to reduce the timeframe during which an abortion is legal from 20 weeks to 13 weeks of pregnancy, unless a medical emergency exists. These bills complement statements made by President Trump in Tuesday’s State of the Union speech: “There could be no greater contrast to the beautiful image of a mother holding her infant child than the chilling displays our nation saw in recent days,” the President remarked. “Lawmakers in New York cheered with delight upon the passage of legislation that would allow a baby to be ripped from the mother’s womb moments from birth. These are living, feeling, beautiful babies who will never get the chance to share their love and their dreams with the world. And then, we had the case of the Governor of Virginia where he stated he would execute a baby after birth.